Used either for moving rail vehicles with locked axles or for pulling apart vehicles which are locked together due to an accident. 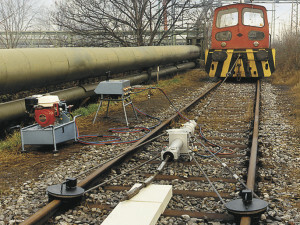 The device is attached to the track by means of rail blocks, wedges and retaining ropes. It can also be used for uprighting overturned vehicles.